Lisa Taouma grew up in the Samoan settlement of Faleasiu. Later she migrated to Dunedin, then Grey Lynn in Auckland. 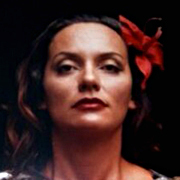 Taouma got a screen break writing two episodes for Tala Pasifika, a pioneering 1996 series of short dramas. Showcasing emerging Polynesian screen talent, the series screened on TV One’s long-running PI magazine show Tagata Pasifika on Sunday mornings. Brown Sugar followed two young South Auckland musicians with stars in their eyes. Talk of the Town, inspired by the iconic Cindy of Samoa, is about a fa'afafine who has grown up to become a cabaret performer. For Taouma the series gave her a glimpse of the impact of screen storytelling, of "how ideas and dreams could be translated through words and imagery." Worn down by her persistance, producer Stephen Stehlin finally gave Taouma a job as a reporter for Tagata Pasifika, where she is now a senior director. She has also produced items on everything from the evolution of Pacific dance (2004's ‘Siva Pasifika’) to wrangling 65-strong crew, multiple stages and drones for multiple editons of Polyfest (the annual cultural contest for Māori and Pacific youth). In 2007 she got to interview Samoan head of state King Malietoa Tanumafili II, just before he died. Taouma rates the footage of "incredible grief and loss of local families" in Samoa following the 2009 tsunami as the most heart-wrenching material she has had to gather. In 2001 Taouma pushed for Oscar Kightley to present her documentary exploring South Auckland’s iconic Otara Market. Her 2003 experimental film Maesina Samoa: Stories of the Malu looked at the experience of Samoan women who received the traditional tattoo. It screened at 2005 festival imagineNATIVE, as did Fa'afafine In Transit - Nothing to Declare, which examined fa’afafine culture. Taouma's partner is Naked Samoan and bro’Town and Sione’s Wedding star Mario Gaoa. Under the banner of company Tikilounge Productions, the two created Pasifika youth-focused magazine show Fresh in 2010. After years of pitching the concept for the programme, Taouma felt the pressure of pioneering it on a mainstream network (TV2). "It was the first show we had made from scratch and it HAD to be good." In a 2010 NZ Herald interview given during the show's first series, she commented on the challenges of being a working mother in the screen industry. "It's quite a pressure situation but only for 16 episodes. Our rationale with the intense work stuff is that every year we go away for a month and spend family bonding time. We're going to take May off." Luckily Taouma’s mother runs a childcare centre, and helped out when production deadlines loomed. She thinks that the show has found its audience by speaking to Pasifika youth in their own language. "We have to ride the wave while the wave is here. We are on a huge wave, Pacific TV-making has just been born; bro'Town has led the way. They now sell advertising on TV around Pacific TV. So we are at the peak of our careers — and we have to factor the unexpected late-life baby into that!" In 2013 the Fresh team scored a coup after memorably hijacking a Q&A with Game of Thrones actor Jason Momoa at a fan expo. In late 2014 Tikilounge Productions was named as a ‘preferred applicant’ for Fresh, as TVNZ shifted to outsource the production of its Māori and Pacific Island programming. Taouma is the show's senior director. In 2014 Taouma branched out into online content with The Coconet, an online portal aiming to connect Kiwi Pacific youth with their heritage and cultures. She thinks it has been successful because the website provides content to an underserviced audience at the touch of a finger. Taouma describes Fresh and Coconet as the "loves of my life": "They have both influenced a whole population of Pacific people across the region and people are so passionate about it — kids have lines from the show printed on t-shirts, it's created new catch phrases and people are just so grateful there are shows that speak directly to them as an audience." Taouma graduated from Auckland University with an Master of Arts with First Class Honours. She has lectured in Pacific Arts, curated exhibitions, and written extensively for scholarly publications on representation of Polynesia in art. In 2002 she devised Pasifika Divas, for the Asia Pacific Triennial of Contemporary Art, a pan-Pacific collective of artists that performed and showed work at Queensland Art Gallery.